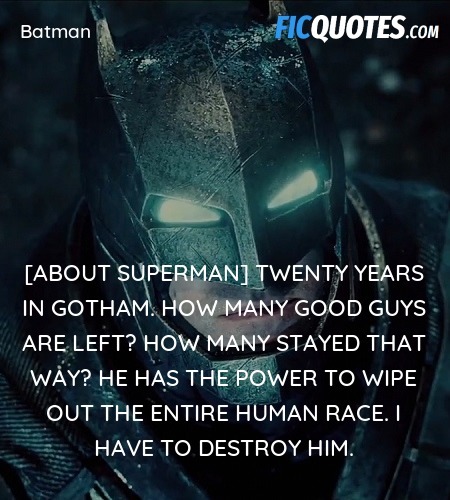 [About Superman] Twenty years in Gotham. How many good guys are left? How many stayed that way? He has the power to wipe out the entire human race. I have to destroy him.